While most builders and contractors might look for luxury marble window sill distributors that are in close proximity, it’s wise to consider all of your options. Just because you may have found a distributor close by doesn’t mean that they’re selling their marble tile at the lowest price available. In fact, it’s quite possible that they’re paying a premium just to get their inventory shipped to them in order to sell to you, which means that they have to mark up their price. While you think you may be purchasing your luxury marble window sills at a discounted price, you’re really aren’t. Does your distributor allow you to buy a small amount, maybe even one box of tiles? 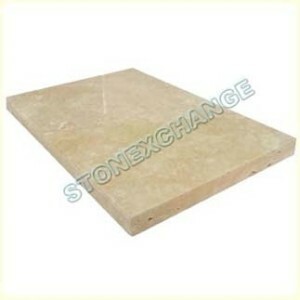 Secondly, do you feel that the unit price is a bit expensive, even for marble? If you answered ‘yes’ to any of these questions, you might want to consider going outside your comfort zone and search for marble window sill distributors that have an unlimited supply of materials that can be shipped to you any time. When you’re dealing with local distributors, chances are their inventory is limited, or their ordering what YOU need on an as-needed basis. For smaller contractors, that might be sufficient, but for medium to large contractors, a much more larger access to marble window sills will be needed. For instance, if you’re in the middle of a building project, and for some reason, you end up running short on the amount of marble window sills needed, running back and forth to your local home improvement stores might save the day—or not! Chances are, you may have bought out all of their marble window sills in stock and they’re in the process of replenishing their stock. That’s usually how things work in the world of retail. When it comes to restocking something like luxury marble window sills, you also need to take into consideration how much of a supply your distributor has. If they’re selling what you need at retail prices, you can almost guarantee that you’re paying a mark-up price and that their supply is limited. So, if for some reason, you’ve run out of marble window sills and your distributor has to order more, reordering could take anywhere from weeks to possibly months! This will ultimately delay the building project that would in turn delay future projects that could lose you money in the future. Making sure that you have a sufficient supply of building materials is key, and the only way to guarantee this is to find a good wholesale distributor that can supply you with more than enough inventory. The last thing you want to do is come up short on your supply. It’s better to have more than enough on hand at all times. If there has to be a downside to buying wholesale, it would be that you’d have to buy in bulk. Wholesale distributors don’t make their money from marked-up prices. They make their money from quantity. Because they bring in a massive amount of luxury marble window sills, they need to sell it in bulk. That is where the retail stores come in. Retail businesses can afford to buy big amounts of marble window sills because they count on YOU to buy from them, but if you take the retail sellers out of the equation, you’ll be able to buy your luxury marble window sills at the same price as your local home improvement store. By doing this, you have not only cut down the costs for your luxury building materials, but you have also evened the playing field, becoming your old distributer’s competition—of course, this all depends on what kind of business you’re operating. If you’re looking to resell your luxury marble window sills, then this is the perfect business move for you. If you are looking to stock your inventory, that’s even better! What Kind of Luxury Marble Window Sills Are Available to Stock? With such a variety of marble window sills to choose from, you could lose money if you don’t stock the right ones. How to determine which type of luxury marble window sills are the right ones is somewhat of a gamble as everyone’s taste differs. That is why Stonexchange has made the decision easy for you to make. Stonexchange is a manufacturer and wholesale distributor of luxury marble window sills and thresholds located in Miami, Florida with direct access to the ports. As a result, we have the advantage of receiving incoming shipments on a frequent basis, keeping our warehouses stocked full of luxury marble window sills and thresholds at all times, and can ship your bulk supply out to you anywhere in the United States. To get a closer look at the type of marble window sills that Stonexchange has to offer, view our online catalog here. If you’re interested in becoming a distributor, contact us anywhere between the times of 9 am and 5 pm at 305-731-2400 or fill our online form and someone will contact you as soon as possible.